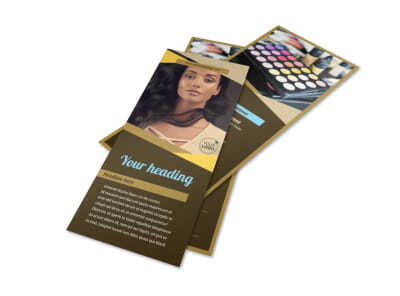 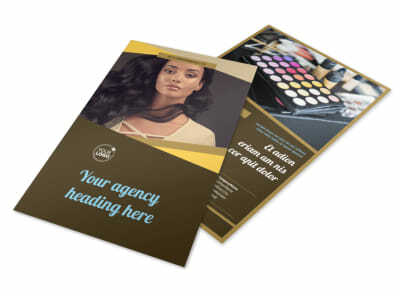 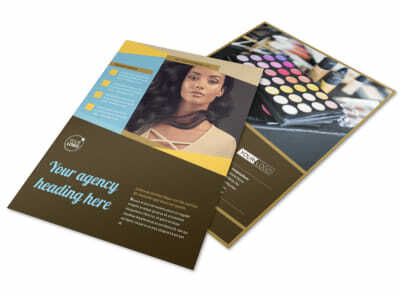 Customize our Makeup Artist Brochure Template and more! 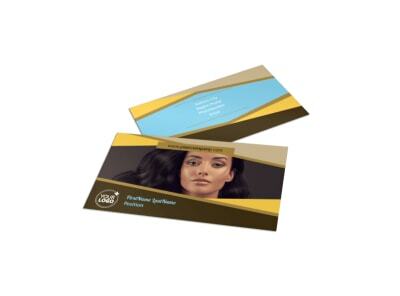 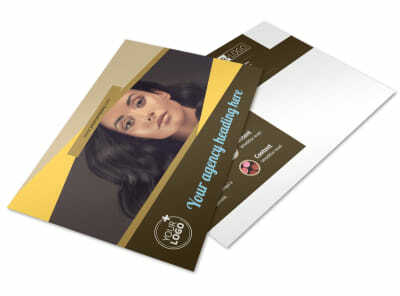 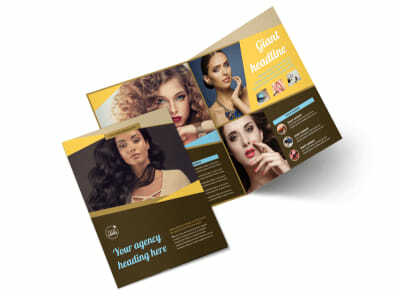 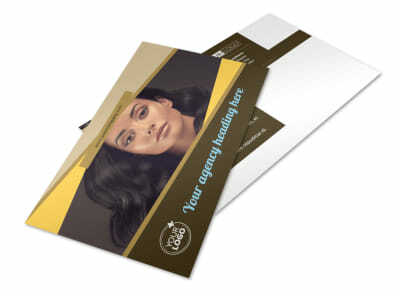 Encourage clients to put their best faces forward with makeup artist brochures detailing your qualifications, background, services, and more. 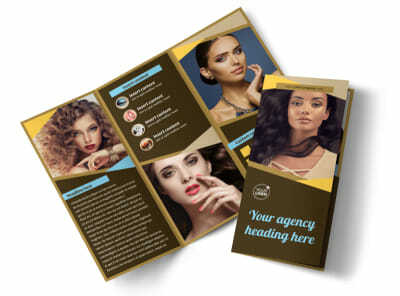 Select a template you like, and then add your own custom touches, including high-res before-and-after photos of clients and custom text giving clients the 411 on rates and other info. 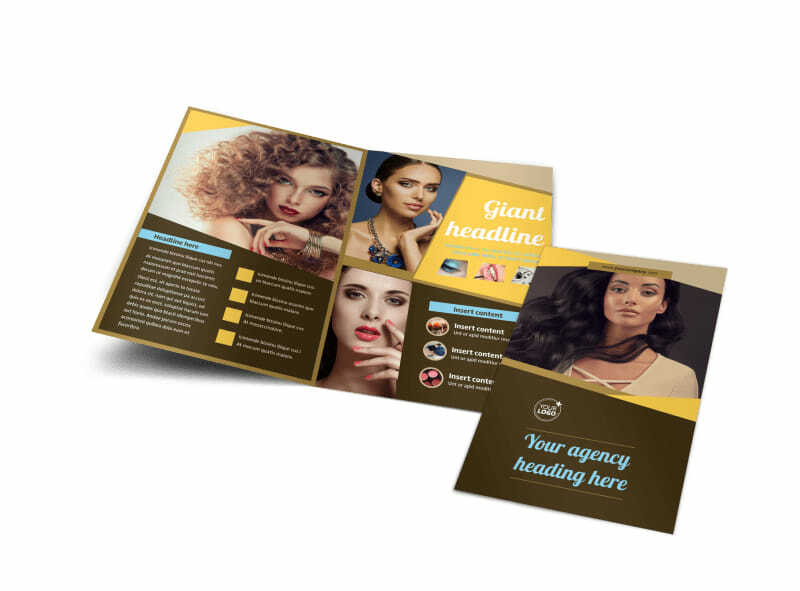 Get busy creating a design that wows now.